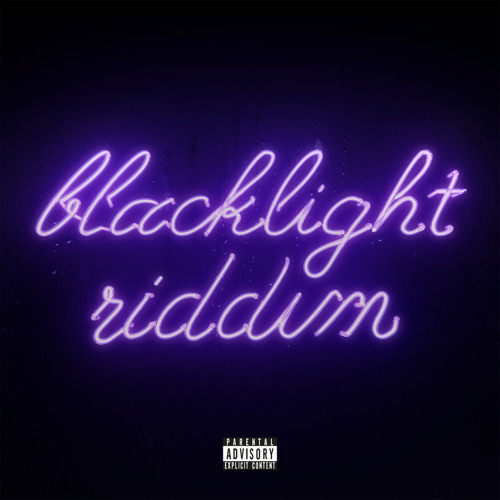 Available on iTunes: http://smarturl.it/BlacklightRiddim Fresh from an inspiring and productive trip to Kingston, Dre Skull returns with a new riddim release for the summer. Stepping in at 109bpm, Blacklight Riddim is the perfect collision of Brooklyn and Kingston, a Mixpak mission statement with four of dancehall’s finest: QQ, Spice, Konshens and Tifa. Drawing from dembow, the Caribbean super-loop with an origin story that spans from Kingston to New York in the early 90s, the riddim brings the energetic kick-snare combination to play with gurning rave synths for anthemic party status. Inspired by the energy in the music, all four vocalists take the opportunity to channel raw sexuality, whether it’s Tifa’s search for a stamina daddy, Konshen’s wining song, QQ’s gallis antics or Spice’s classic hard-line sensuality. Recorded in Kingston, and mixed in Mixpak’s new Brooklyn studios by King Jammy protege Suku (of Ward 21), Blacklight Riddim keeps the JA/BK vibes strong and the summer juggling hot.